The 'Born This Way' singer has been left distraught by the death of 14-year-old Jamey Rodemeyer from Buffalo, New York, who committed suicide last Sunday after enduring years of ridicule about his sexuality. 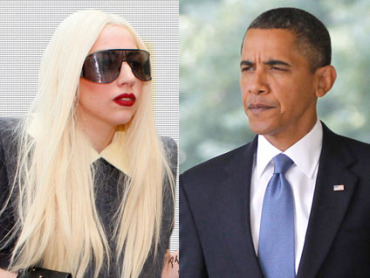 Gaga – who is a prominent supporter of gay rights – wants to petition the US leader to create legislation which makes bullying at any age a crime. In a series of tweets, she wrote: "The past days I've spent reflecting, crying, and yelling. I have so much anger. It is hard to feel love when cruelty takes someones life. "Jamey Rodemeyer, 14 yrs old, took his life because of bullying. Bullying must become be illegal. It is a hate crime. "I am meeting with our President. I will not stop fighting. This must end. Our generation has the power to end it. Trend it #MakeALawForJamey (sic)"
Jamey had regularly blogged about the bullying he was suffering at school but his tormentors also followed him into cyberspace and several messages were left on his account on social media site Formspring calling him “gay and ugly” and encouraging him to kill himself. On Saturday night he posted the prophetic line “don’t forget me when I come crying to heaven’s door" from Gaga's song 'The Queen' on his Facebook page followed by a tribute to the pop superstar and a message saying he was looking forward to seeing his late great-grandmother. Hours later he was tragically found dead.